Expedia can help you save heaps with a Koh Samet travel package. With all that extra cash in the bank, you might even like to book a few more nights. Crafty jetsetters can gain savings of up to C$590* by booking a package deal on Expedia. Select from more than 400 partner airlines and 321,000 worldwide properties on our global database of accommodations and flights. Fly with who you want, stay where you like — now that's the ideal vacation! Itinerary need a little padding? 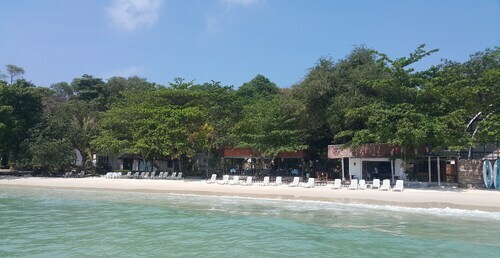 Koh Samet vacation all booked but no idea what to do when you get there? Let us make it easy for you. Of course, if you're visiting Koh Samet, you probably know of Rayong Aquarium. This iconic attraction is not to be missed! You never know what things could wash up on the shoreline at Ao Prao Beach. Kick off your shoes and wander along the water to see if you stumble across any interestingly shaped driftwood. There's a fabulous range of things to keep you busy in this destination. Pick up some potato chips and a bottle of vino and spend an afternoon at Ao Cho Beach. It's one of the most picturesque places in the region for a relaxing picnic. Still got time on your hands? There is something soothing about the heaving swell of the sea. Open up a picnic chair, stretch out and admire the ever-changing moods of the ocean at Ao Phai Beach. Life is either an amazing adventure or nothing at all, so why not get stuck into some new and exhilarating experiences? Before flying home, why not consider buying a Ko Samet Island Full-Day Excursion? It's an excellent way to remember your vacation. Have a few spare moments? 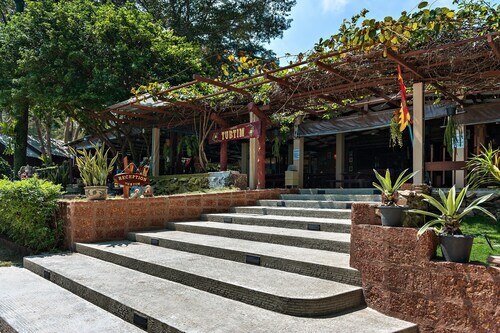 Head to our Koh Samet things to do page for a complete list of activities. 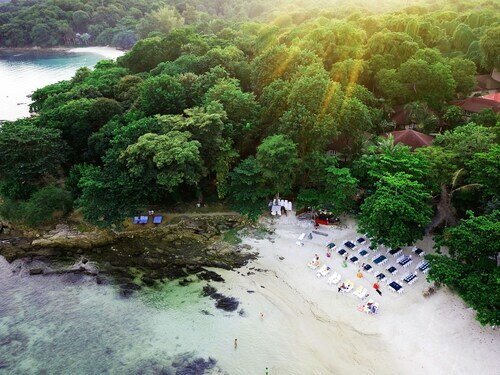 Koh Samet boasts 61 conveniently located properties, so why hesitate? 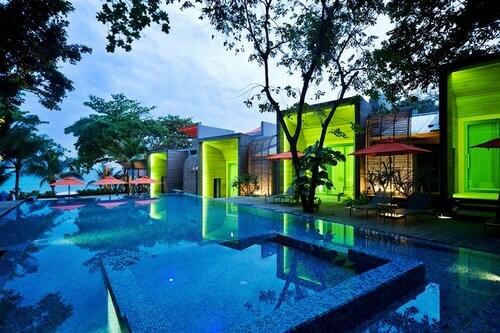 Pick your ideal accommodations for your next luxury getaway or cheap vacation with the help of Expedia. 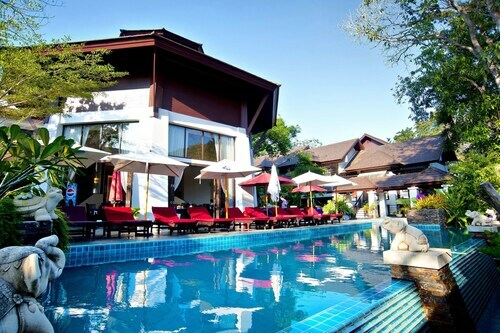 If you enjoy the high life every so often, why not dig deep and treat yourself to a night at the Paradee (76 Moo 4, Tumbol Phe, Amphur Mueng) or the Le Vimarn Cottages & Spa (40/11 Moo 4, Tambol Phe, Amphur Muang)? If your vacation savings account isn't as robust as you'd have liked it to be, the Nice Beach Hotel (81/4 Mae Rum Pung Beach Road) and the Miss Hong House (35 Moo 4, Phe sub-district) are a couple of lower-cost options. Utapao International Airport (UTP) is situated 30 miles (48 km) west of the main streets of Koh Samet. Grab your bags, hail a cab and let the adventure begin! 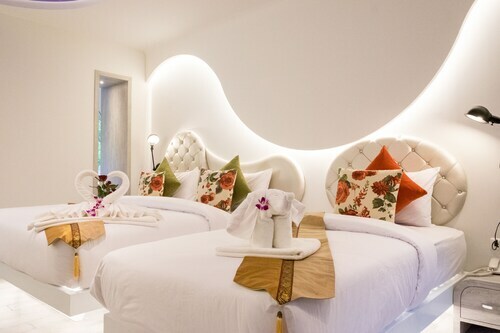 Situated in Rayong, this hotel is 0.1 mi (0.1 km) from Noi Na Beach and within 3 mi (5 km) of Hat Sai Kaew Beach and Ao Wong Duan Beach. Laem Noina and Koh Samet Pier are also within 1 mi (2 km). 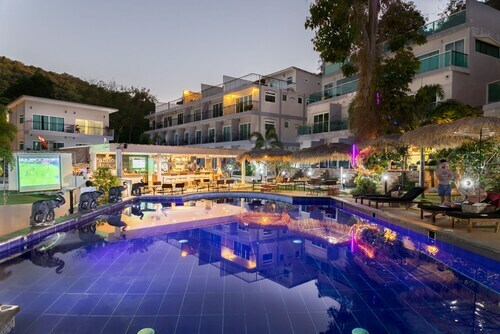 Located in Rayong, this beachfront hotel is in the entertainment district and within a 15-minute walk of Ao Cho Beach and Ao Wong Duan Beach. Hat Sai Kaew Beach and Ao Prao Beach are also within 2 mi (3 km). 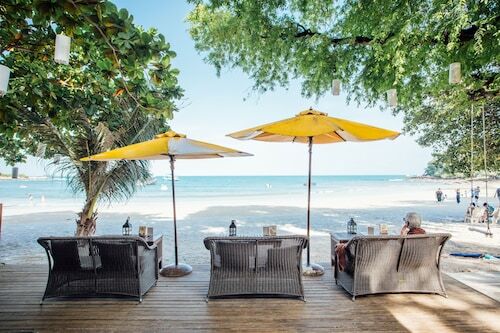 Nestled on the beach, this Rayong hotel is within a 10-minute walk of Pineapple Beach and Hat Sai Kaew Beach. Ao Prao Beach and Ao Wong Duan Beach are also within 2 mi (3 km). Wed., 22 May - Sat., 1 Jun.